﻿﻿ Fault Finding - APR Electrical Solutions. Left alone, electrical faults can pose a potential fire risk. Every year, fires are caused by faulty appliances and wiring. Most older homes were not designed for the type of power requirements we have today, and modern electronics have bought us a wealth of electrical devices to make our lives easier and more convenient. With all this extra activity running on your existing circuit, older wiring systems can be a hazard. 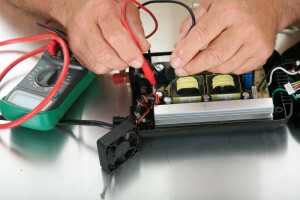 It is essential that you have any faults repaired as soon as you spot them. We are fully trained and experienced at electrical fault finding and repairing domestic and commercial electric installations. With this in mind we ensure a fast, efficient and cost-effective service.